what's new around the nest? Beginning in February, every Thursday you can find me SIGNING and playing at By My Side Parenting in Fishtown! During the regular morning playgroup (from 10:00-11:30) I'll be set up with a small lesson and some play props for anyone who's interested in learning some signs. Then at 1:15 in the downstairs Baby Playgroup space we'll have a Signing Time Baby Playgroup. The morning playgroup lesson will be geared more toward toddlers and preschoolers while the afternoon group will be geared more toward infants and toddlers. Feel free to attend either group no matter your child's age, but please be mindful that the energy level of the afternoon group is intended to make the space safe and enjoyable for our littlest pre-walking signers. There is no fee or registration required, however as always, donations to By My Side are suggested and greatly appreciated. Throw $5-ish in the jar if you can, but don't ever hesitate to come and play even if you can't give at that time. Want to plan your childbirth class around your Spring outdoor activities, or even sit outside in the warm breeze while learning and preparing for your birth? ​Learn at your own pace, in your own space, on your own schedule with mama bird's online class options. Choose from my completely online Birth Basics eClass, Comfort & Confidence eClass -OR- a combination online and private in-home birth class. 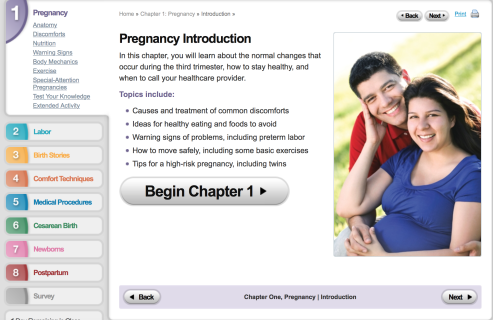 This online childbirth eClass covers all of the basics of safe & healthy birth. It is broken up into 8 lessons that can be completed in 30-45 minutes each for a total of 4-6 hours. Once you have purchased this class you will receive an email invitation to create a login for your eClass. If you want to trade fear for confidence and pain for comfort, this Comfort & Confident eClass goes wider and deeper than any basic birth class can to equip you with all of Mama Bird's very best tools and techniques for thriving through labor and birth. This two hour eClass is paired with an interactive version of Mama Bird's Ultimate Checklist for Comfort in Labor - your guide for preparing for labor ahead of time, and your helpful companion during birth to remind you of all the tools at your disposal. Take advantage of the $10 off price being offered to celebrate the release of this labor of love! Purchase the Birth Basics eClass along together with the Comfort & Confidence eClass for a discounted price. After your purchase you will receive and email invitation to create a login & access each of your classes. (2 email invitations - one for each eClass). Pay for your your combination Birth Basics eClass + 2.5 hourin-person Comfort & Confidence group class. Use the "note to seller" field to include the date range that you'd prefer to schedule your in-person private class as well as several suggested dates & times. 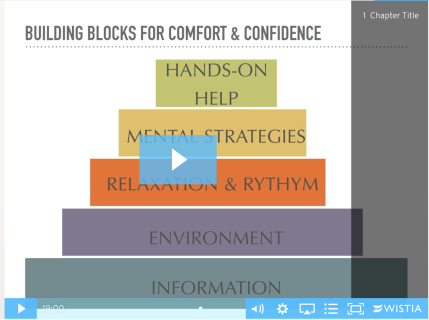 Check out the video below for a preview of the my complete & comprehensive Birth Basics eClass. This class is perfect for mamas on bed-rest or just those with and extra busy schedule. Copyright 2019 Mama Bird Birth Services & Elizabeth Varaso . All Rights Reserved.